Performance Time: Approximately 5 mins, 5 pgs. FARCE. In “The Break-Up,” Dylan discovers his girlfriend is actually in love with his identical twin brother. 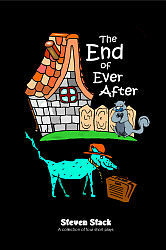 Included in the short play collection, "The End of Ever After."